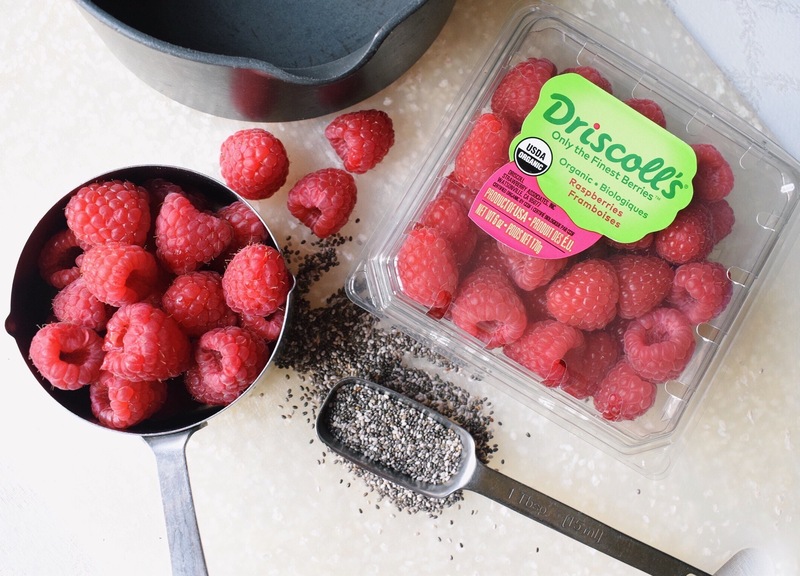 A note from TheFeedFeed: We've made it to peak summer - and we're celebrating all things Driscoll's Raspberries, and specifically in Minneapolis - which is one of the leading Raspberry consuming cities in the country. We're super excited about this recipe by Megan Walls of @goodhealthgoodvibes and hope you enjoy it as much as we do. Read on to learn more about the amazing MN exclusive contest that Driscoll's is running through August 31! Hello! My name is Megan Walls, aka @goodhealthgoodvibes on Instagram. When I think of summer I automatically think of all the fresh, tasty fruits that are available during the season, especially raspberries. I live in Minnesota near the Twin Cities area which just so happens to be the #1 raspberry consumption capital of the country! I have always been a big fan of Driscoll’s raspberries. Specifically because they use natural breeding methods, they never genetically modify their raspberries, have berries available all year round, and have minimal berry bruising or breakage. I am so excited to have partnered up with Driscoll’s and TheFeedFeed and be apart of the #BerryTogether campaign. I really love the message that this campaign speaks. The #BerryTogether campaign is focused on the promise that berries, meals, and life itself are better when shared together. How sweet is that! Along with the campaign, Driscoll’s is hosting a Minnesota exclusive sweepstakes running until August 31st. The grand prize winner will receive an all expense paid trip to Madden’s on Gull Lake for four nights. The four first-prize winners will receive an entire year’s worth of berries from Driscoll's! You can visit www.berrytogether.com to enter. Using Driscoll’s raspberries I created a delicious chia seed jam that is perfect for these hot summer months. The jam has amazing texture similar to a store bought jam, and a vibrant color provided by the berries. The fact that it has only 4 ingredients and takes about 5 minutes to make gives this recipe superstar status in my book. It can pair with anything from toast, oatmeal, yogurt, banana ice cream… basically anything you could want. Combine all ingredients in a small saucepan over medium-high heat and bring to a boil. Once boiling, start mashing the raspberries with a fork and stir all the ingredients together until well combined. Let simmer for 3-5 minutes or until it is thickened to your desired texture. You can serve right away or let it sit in the fridge to thicken more. Enjoy!